Are you Surfing the Apocalypse? Or will the Apocalypse drown you? Without a doubt preparedness is the only way you will be surfing the Apocalypse in the event of some major catastrophic event in your life. Even if you’ve never been surfing, chances are you have watched those athletes riding high above the surf, seeming to float on top of a gigantic curling wave. Not one of those surfers, who make surfing look so easy, got there without a lot of preparation. In fact, nothing that’s worth anything in life is usually easy. 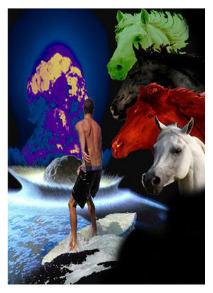 Surfing the Apocalypse will not be any different. It will take sacrifice, learning, money, determination and awareness to of what’s going on around you, for you and your family to have a chance of surviving your family’s disaster. Whether that comes in the form of an earthquake, a tornado, a terrorist attack or job loss, by taking action before the fact…before there’s no food, or power, or gasoline, or money…by taking a few simple steps now, your family will be better off than if you just continue to sit on your duff and do nothing. Apocalypse is one of those terms like “Armageddon” that refers for the prophecies found in the Bible, that describe the events of the End of the Age, and a time referred to as great tribulation. However, it’s not just the Bible where you will find apocalypse predictions. The truth is that since the dawn of time, certain men and women who seemed to have a gift of looking into the future have foretold of terrible cataclysmic events at some vague point in the future. Well…with the exception of the Mayans, the time has been vague. In the Mayans’ calendar system, terribly accurate so far, the absence of any dates past December 21, 2012, evokes images of massive destruction on a global scale. Hollywood has even jumped on the moneymaking bandwagon and produced a movie called simply “2012”, that while frightening if true, had the requisite happy ending. What Does the Apocalypse Look Like? As mentioned previously Apocalypse can vary according to whom you ask. In the Bible, it’s a time of war, famine, plague, death and earthquake, possibly with a nuclear war thrown in. Those who study the Mayans say it’s possibly a polar shift, a meteor or asteroid, a massive volcanic caldera erupting, or a combination of all of the above. To the folks in New Orleans, it was Katrina. In Indonesia, it was a massive wave of water. In Japan, it was one of the largest earthquakes in recorded history, followed immediately by a tsunami…and a nuclear meltdown. For those in some parts of Texas, it’s a drought so bad, that people are losing animals, lands and homes. For others, it’s the pink slip they receive in their pay envelope next week. No matter what form your Apocalypse takes, food could be very well be one of the first things you find you need. If you lose your job, having to decide whether to put gas in the car so you can go to that job interview or to buy food for the little ones, can be a no-brainer; gotta feed the kids. If a natural disaster interrupts transportation and delays delivery of groceries to your local supermarket, you could find yourself staring at an empty cupboard within a matter of days. By taking steps now to stock up on food now while you still have a job or while you’re not trying to fight hungry mobs for the last can of Spaghetti-O’s, makes as much sense has paying your homeowner’s insurance. Water, water everywhere…not if you’ve been in Texas lately, or if you’ve ever had to stand in line to get a jug filled with water when the local water is contaminated. Then you might begin to think about having some extra water on hand…just in case. Most people don’t realize that if the power goes out for any length of time, the easy water flowing out of their kitchen tap will dry up rapidly. However, by having extra water stored, putting in a rain-catchment system, and having water filters and the ability to purify even questionable water, will have you surfing the Apocalypse of a water shortage. After taking care of your food and water needs, you will find surfing the Apocalypse requires a bit more. What will you do for medical care if you can’t get to a hospital, or as was the case of Katrina, the hospitals are in worse shape than you are? Do it as our ancestors did; take care of it yourself, and to do that you are going to need first aid equipment and medical supplies. If you must leave your home due to flooding, wild fires or other disaster, having some typical survival gear will come in handy. This can range from sleeping bags and tents, to gardening tools and even a gun for hunting. Of course, all the handy-dandy gear in the prep catalogs won’t do you any good, if you don’t know how to use them. Now is the time to learn CPR, take a firearms handling course and create your first garden. Some of the skills you need to learn can be found in books on foraging, herbal medicine, food preservation, wilderness survival and animal husbandry. 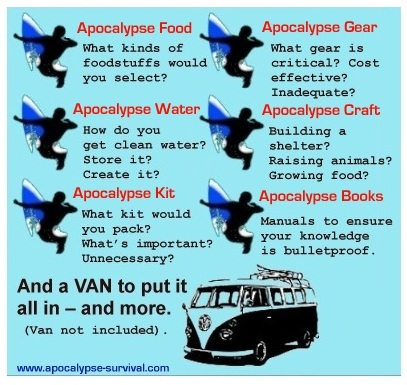 If you even hope to get to the point of surviving to “after” you’re Apocalypse, then you are going to need to have a place to ride out the disaster. This will probably be the most difficult of surfing the Apocalypse, because as many people are finding out in these economic hard times, it may mean moving out of that fancy house, into a smaller, more affordable place. In other scenarios, any hope of survival may necessitate leaving all you hold dear for a survival retreat that you’ve prepared in advance. Some people even make the choice now to get out of the cities, go to their little place in the country and establish their survival homestead. Just as there’s no such thing as a lone wolf living a long and healthy life, most survivors of any catastrophe eventually pull together with others, because of the impossibility of surviving alone. Some join together before any disaster, forming bonds, sharing common goals and establishing procedures that will enable them to work as a cohesive whole in the midst of a life-threatening event. 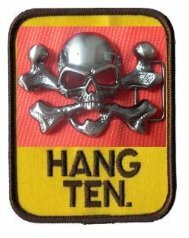 At Apocalypse-Survival.com, we want to help you get ready for your next Apocalypse. We’ll offer advice from the experts in the field, those who have been there done that, and not those that are just armchair survivalists. After all, we believe that the more knowledge you have and the more prepared you are, the better are your chances for surviving any kind of disaster. Preparedness 101 a Beginners Guide to Prepping has the answers for those new to prepping and survivalism. Now on Amazon for the kindle. Still not sure? Listen to an honest review from busy mom Marie. Produced by the experts here at apocalypse-survival.com; if your starting out, or want a much needed concise guide to getting it all together – this book is a must.